It is no secret that the country is in the midst of an obesity epidemic. A quick look around virtually any playground in America will reveal the growing dimensions of that problem. 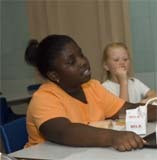 Today many school age children and preschoolers are overweight and obese. And failure to address those problems early could lead to all manner of health problems later in life from diabetes and high blood pressure to heart disease and stroke. Much of this obesity epidemic, of course, stems from poor eating habits on the part of both children and parents. In today�s modern world, it can be difficult to eat properly. And the ready availability and relatively low price of fast food has led it become a staple diet in the life of many children, teenagers and adults. In the face of all those challenges it can be quite difficult to establish the healthy eating habits kids need to enjoy a healthier lifestyle and escape the obesity related problems plaguing so many of today�s children. When it comes to instilling healthy eating habits in kids, it is important to start early. When feeding babies and young children, for instance, it is a good idea to avoid foods rich in sugar and sweets. Introducing such foods early in the development of the child can lead to a lifetime sweet tooth and a lifetime spent battling food cravings. It is also important to avoid using food as a reward. 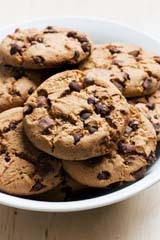 It can be tempting to reward good behavior with a cookie or a favorite piece of candy, but this can also set the child up for a lifetime spent struggling with food and feelings. It is best to reward the child's good behavior with a favorite activity or a favorite toy instead. It is also important for parents to establish regular mealtimes and to stick to those mealtimes as much as possible. With the challenges of work and family, it can be difficult to get the entire family together for meals. But these regular mealtimes are important to establishing healthy eating habits. What is served at those family meals is of course important as well. It is important to serve meals that taste good but are also high in nutritional content. Getting the child in the habit of eating healthy foods like salads, fruits and vegetables early is one of the best ways to insulate that child from the harmful effects of fast food advertising and the ready availability of junk food later in life. When instilling these healthy eating habits in children, it is important to keep in mind that children mimic what they see the adults in their lives do. If the adults in the home are constantly eating junk food and drinking sodas, the children may well follow the same pattern when they get old enough to make their own food choices. It is important, therefore, for the parents to set a good example by following a healthy diet themselves. It is also important for those kids to learn the value of play and exercise at an early age, since regular exercise is just as important as a healthy and balanced diet. Regular exercise has been shown, in study after study, to have a profound impact on good health. And like good eating habits it is never too early to instill a love of outdoor play and outdoor activities in the kids. With so many of this generation holed up in front of the computer playing video games, simply encouraging the kids in your life to take up a favorite sport or just go for a walk around the neighborhood can provide a big boost to their current and future health.